One of the easiest tasks that you can perform yourself as the owner of a vehicle is to change the windshield wipers. Most automotive stores carry wipers that will fit your particular model. If you are not certain exactly which size or brand of wipers to get, ask a service representative at the store or refer to your vehicle owner's manual. To begin the process, the old vehicle wipers must be removed from the vehicle. In order to do this properly, you must pull the whole wiper in the direction away from the windshield and the wiper should hold itself up. Since the arms of the wipers on your vehicle are made of metal, take care not to scratch the windshield while pulling. Hold the arm with one hand, and use the other hand to press down the little tab that is located on the underside of the windshield wiper where it comes in contact with the metal arm. Pull from the center aiming towards the bottom part of the arm and slide off the wiper. Once you have successfully removed the wiper from your vehicle, gently place the arm portion back against the windshield. To prevent damage from occurring, make sure that you guide the arm back into place instead of letting it snap back. The two pieces should first be lined up so that they will click in easily. 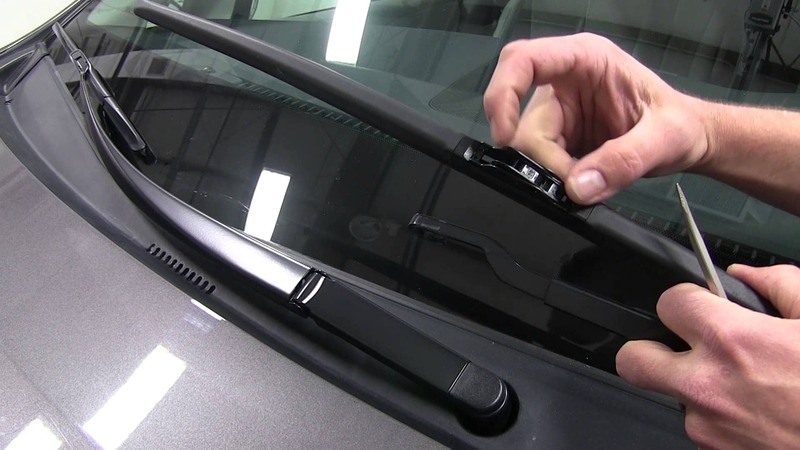 The side of the wiper that will attach to the arm on your vehicle will be flat and be curved across the top portion. Rotate the clip until the wiper blade has the curve pointing towards it. Place the wiper upside down in your hands next to the arm in the position where they match up perfectly together, and place the arm in the slot between the wiper edges. Be certain that the open end of the curve is in a direction facing the clip, and gently pull the wiper blade in an upward direction so that the rounded edge are able to easily slide into the hook. Grasp and pull firmly to be certain that it has clicked into place. Do the other side in the same way! If you prefer to get a professional in Milton to take care of this task for you, Gorruds Auto in Milton, Ontario, Canada has a Service team that will gladly complete the process for you. Stop by or make an appointment to visit out service technicians today.